File photo. A submarine cable inspection vessel. VIRGIN MEDIA HAS filed cases in the High Court against the owners of two fishing trawlers, over alleged damage done by the vessels to underwater cables. In the two filings this week, the media firm has launched cases against two Wexford-based trawlers. Virgin Media operates underwater fibre optic cables, between England and Ireland and between Scotland and Northern Ireland. It is understood that damage was incurred and the firm is looking to recoup costs from fishermen they allege were responsible. While there are efforts in place to help trawlers avoid damaging submarine wires, cables that aren’t fully buried in the ocean floor can also cause damage to vessels. TheJournal.ie understands that Virgin Media is seeking a six-figure sum from at least one of the trawlers following technical issues which arose a number of years ago when the trawler snagged some underground cable owned by the company. The company has engaged with the owners of the trawlers on numerous occasions in the intervening years, and it is understood any legal action will be vigorously opposed. Maps are available for trawler operators to see where cables are laid, with an extensive network off the southern coast of Ireland in particular. Damage to these cables can cause a slowdown in broadband speeds for customers, as happened in 2015 when a Virgin Media cable in the Irish Sea broke. It required sending down a large robot to fix it, Wired reported. Such damage could be done by an anchor or other fishing gear. However, while trawlers can do damage to underground cables, the reverse is also true. Cables damage vessels if they are snagged, and they can even risk sinking the boat. There is legal precedence for telecoms companies suing fishing vessels in other jurisdictions. In 2015, Canadian firm Eastlink took the owners of a fishing vessel to court claiming that nearly $1 million worth of damage had been done. 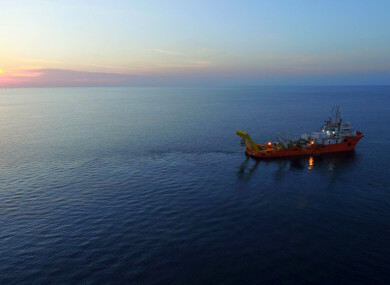 The European Subsea Cables Association is a collection of companies – that includes Vodafone, Eirgrid and BT – involved in operating and owning submarine cables. In its recent position statement on vessels operating in the vicinity of cables, it said: “Any vessel whose planned activities involve physical interaction with the seabed, Masters should ensure that they have the latest available positional data for submarine cables. Great effort is made to bury and protect subsea cables and in most cases subsea cables are buried, however, it is possible that sections of charted subsea cables may be exposed. “Finally, when operating near a charted cable please be aware that to damage a cable either wilfully or through culpable negligence is an offence in UK and international law. Due to the dependence of global internet connectivity and power generation/distribution on subsea cables this type of offence is being taken more and more seriously due to the scale of the effects being much greater than in the past. The result is that risk of prosecution with ever-increasing penalties or damage claims is increasing. In response to a request from TheJournal.ie, a spokesperson from Virgin Media said they wouldn’t be commenting on either of these cases. Email “Virgin Media files cases against fishermen in High Court alleging damage to its underwater cables”. Feedback on “Virgin Media files cases against fishermen in High Court alleging damage to its underwater cables”.